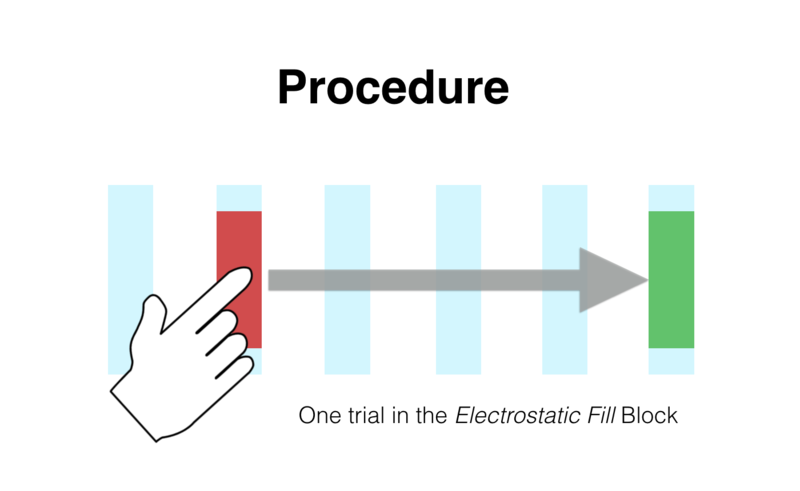 We quantitatively evaluate how electrostatic force feedback can be used to enhance, in particular targeting, where virtual objects rendered on touchscreens can offer tactile feedback. 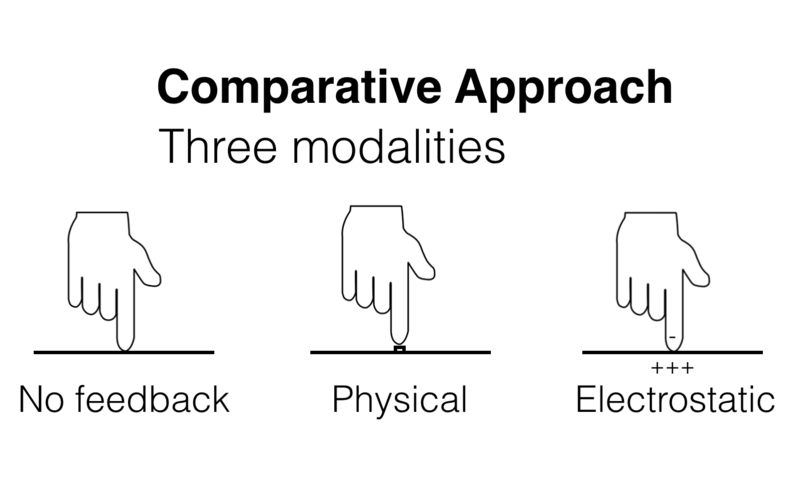 We conducted a Fitt's Law style user study and explored three haptic modalities: No feedback, Physical, and Electrostatic. 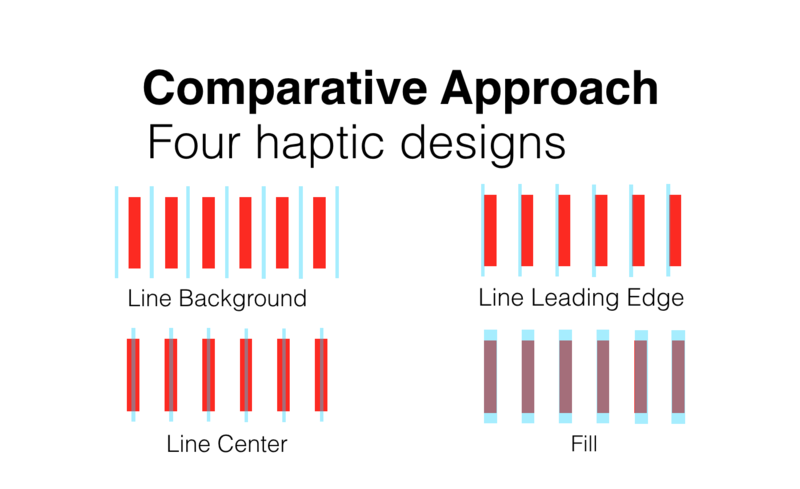 The result shows that electrostatic haptic feedback can improve targeting speed by 7.5% compared to conventional flat touchscreens. Zhang, Y. and Harrison, C. 2015. 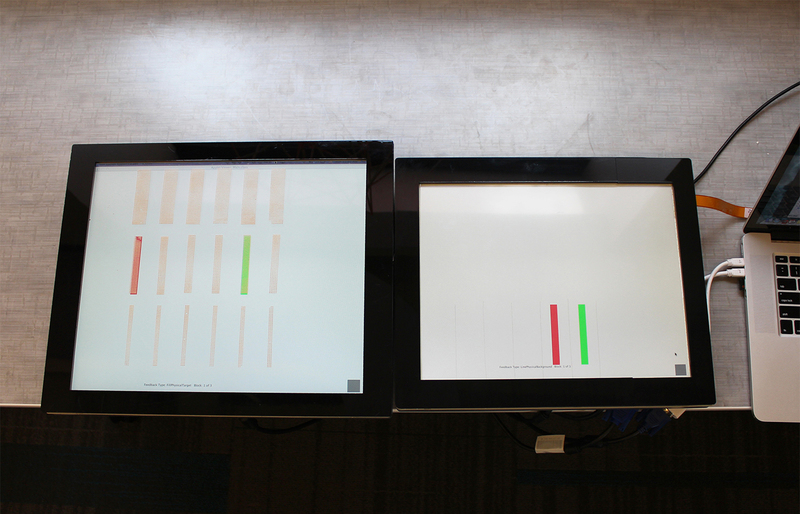 Quantifying the Targeting Performance Benefit of Electrostatic Haptic Feedback on Touchscreens. In Proceedings of the 2015 International Conference on Interactive Tabletops & Surfaces (ITS '15). ACM, New York, NY, USA, 43-46.